Sometime we would have to go to Sea World to see the Sea life. Ha! Ha! I love you - Da. killer whales . 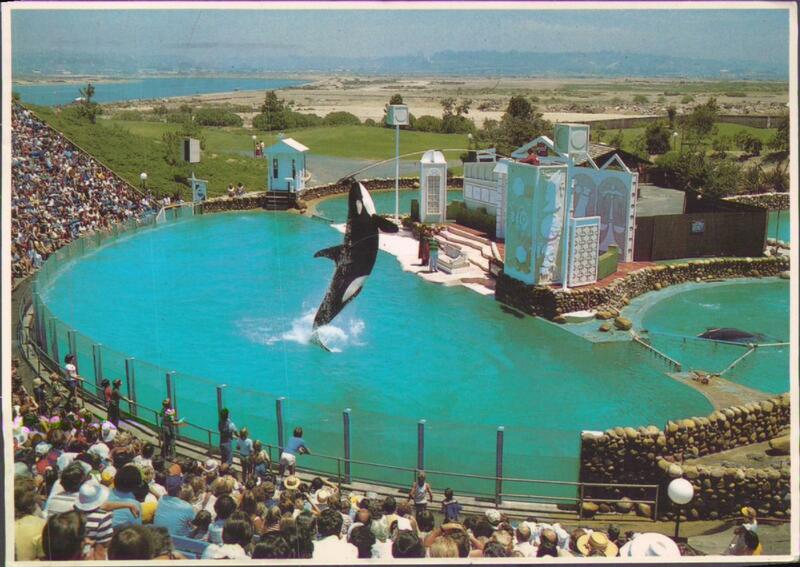 . . perform spectacular feats at Sea World, to the delight and wonder of the spectators. Argh. 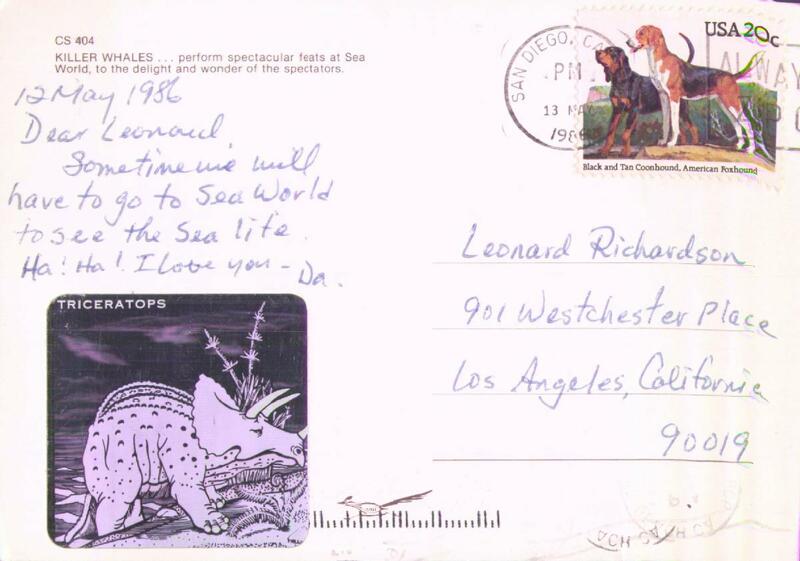 I'm just going to focus on the Triceratops sticker, and the way the bar-code postmark makes it look like the postcard company's roadrunner logo is running through tall grass.